After 26/11 terror attack, measures like buying thermal binoculars, setting up floating jetties not yet implemented. 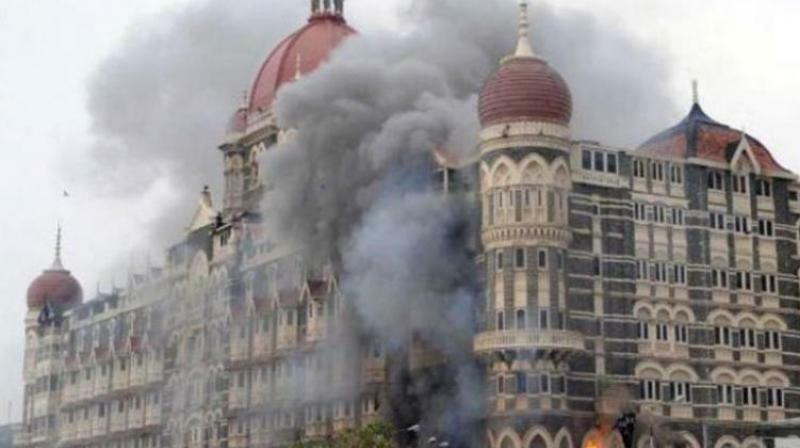 Mumbai: Coastal security still remains the focal point of Mumbai’s security apparatus with several plans yet to see the light of the day even 10 years after the dastardly attacks of November 26, 2008. The port zone of the city police, which is entrusted with the responsibility of securing the shoreline and 12 nautical miles into the sea, was to be turned into a robust wing equipped with state-of-the-art gadgets and patrol vessels. However, even two years after putting forth a proposal to procure thermal binoculars, satellite phones and setting up floating jetties at the entry of the Mumbai Harbour, no progress has been observed. The coastal security plan that was to be implemented in phases included procuring interceptor and patrol vessels, setting up a coastal training facility for marine commandos and equipping personnel to thwart any similar attempt in the future. The latest phase awaiting the administration’s clearance includes procuring high-speed vessels, satellite phones, thermal cameras and setting up 35 target rooms. A proposal in this regard was sent to the state government in October 2016. “The plan focuses on coastal combat and sought to set up a specially trained marine paramilitary force that would operate from floating special target rooms and check posts. The 10-page proposal document stated a detailed plan for the city’s southern, western and eastern shoreline,” sources in the Mumbai police port zone said. The blueprint proposes the setting up of at least 35 ‘special target rooms’ across Mumbai’s shore to house a marine paramilitary force. Around 10 of these quick-response target rooms will come up in south Mumbai, which was the ground zero of the attacks, officials said. The combat force will have hovercraft, thermal cameras and satellite phones for coordination with each other and with other agencies. At least 50 thermal cameras, an equal number of satellite phones and night vision eyepieces were sought in the proposal for arming the marine paramilitary force. Better quality speedboats and high-speed boats similar to ones used by the Central Industrial Security Force (CISF) were sought for routine patrolling. “The floating check posts will be strategic entry points in the harbour to approach the city. The sea routes are specific (without rocky beds), from where boats can pass, and these spots were chosen for floating check posts,” said a coastal police officer. 166 people were killed in the attack carried out by 10 terrorists. Nine of the attackers were killed by police while lone survivor Ajmal Kasab was captured and hanged after handed down death sentence.